As a very popular online cat newspaper, we get tons of messages about cool new products for our feline friends. Everything from food and treats to toys and beds! That said, it’s not often that we’re this excited to introduce you to a new product we’re sure will enrich your cat’s life! It solves a need you may not even be aware that your cat has – the need to hunt for food. 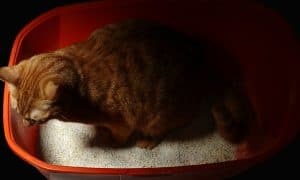 No, you absolutely won’t need to release mice into your home – this new system allows your cat to “hunt” for the dry food he’s already eating! Dr. Liz Bales, practicing veterinarian, has had a constant frustration over the past 18 years. You see, Dr. Bales studies cat behavior and knows how important an enriched environment is to physical and mental health indoor cats. 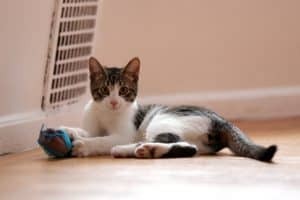 Simply put, when we bring cats inside we need to give them the things that they would naturally get for themselves in the outdoor environment. Without these things, the natural state of the cat is disrupted which can cause physical illness and behavioral problems. 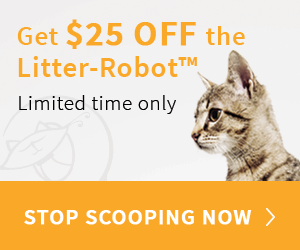 About 5 years ago, Dr. Bales asked herself, “Why doesn’t someone make environmental enrichment products so that I can give my clients what our own science knows their cats need to be happy and healthy?” She quickly realized that the old adage was right — if she wanted something done, she would have to do it herself. For Dr. Bales, the most critical piece of environmental enrichment is hunting. In nature, cats hunt between 9-20 times a day, both day and night. Veterinary Behaviorists have long understood that cats need to hunt for their food, not eat from bowls. For cats, food is only half of the mealtime equation. Cats need to nourish their instincts with hunting, while they nourish their bodies with food. When cats are fed from a bowl, they are denied the ability to fulfill this instinct. Their bodies are often over nourished while their instincts are starved. 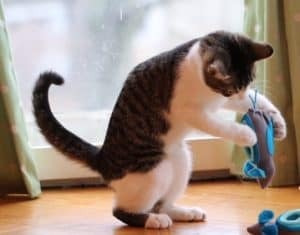 A cat’s frustrated hunting instincts are commonly redirected into negative behaviors like obesity, vomiting, destructive behavior, inter-cat aggression and maybe even urinating outside of the litter box. 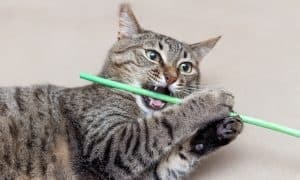 While veterinarians have known this for a long time, there has been no safe and effective way to help cats hunt inside of the home. From the cat’s perspective, the ideal solution would be to release mice and lizards in the home to feed the cat’s body and soul. From a human perspective, that is not a solution at all. Many veterinarians offer temporary or partial fixes that treat the symptoms but don’t solve the problem. Until now. Dr. Bales was so discouraged after years and years of knowing what cats needed but not having a way to help my patients, she invented the solution herself. Her invention, Doc & Phoebe’s Indoor Hunting Feeder, is the safe, clean, easy way to bring back the hunt with the dry food that you are already feeding. 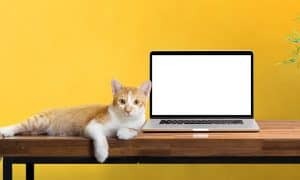 She consulted with the world’s leading feline veterinarians, veterinary nutritionists, and veterinary behaviorists and then worked with an accomplished team of inventors and designers to create the indoor hunting system that will keep cats happy and healthy. Veterinary behaviorists know that feeding has a dual purpose for cats. It is not only a way to satisfy their energy need, but it also represents the main opportunity to satisfy their primary behavioral need to act as predators. Not having the possibility to satisfy this need may be physically and psychologically detrimental to a cat. Dr. Liz Bales (a Penn Vet grad!) has finally heard our cats’ voice and has created a feeding-system that, for the first time, considers their point of view on what a good meal is! You can order your very own Doc & Phoebe’s Indoor Hunting Feeder by clicking here. Indeed , I personally feed raw. I certainly would NEVER feed kibble having done the research & knowing how detrimental it is for their health, particularly long term. A cat will only get around 8% moisture from a completely dry diet , a wet food diet supplies around 70% moisture, a cat fed a dry diet will never make up this deficit. This leads to all sorts of problems later down the line very often chronic renal failure Mycotoxins are also a big problem with kibble, some of these dry bags have been sat on the shelves for months before they are purchased, they are months on end old. Cats have no need whatsoever for dietary carbohydrate . Sadly the commercial pet food industry is just the feline version of junk food, & games like these just encourage people to feed their furbabies incorrectly. A cat being an obligate carnivore should ideally be fed a species appropriate diet. I do SO wish people would do the research . You are clearly very passionate about you cats. They are very lucky to have your loving care. I thought you would be interested in this comprehensive analysis of feline urologic disease by the worlds leading researcher on the topic, Dr. Tony Buffington from Ohio State University School of Veterinary Medicine. The latest research points strongly to the roll of environmental enrichment to manage this difficult disease. And other stuff like it.